The war with the Zombie Priest heats up in the latest new edition of a classic Goon volume. Taking a cue from the great movie posters of the '30s and '40s, this collection features a beautiful new cover by Eric Powell! 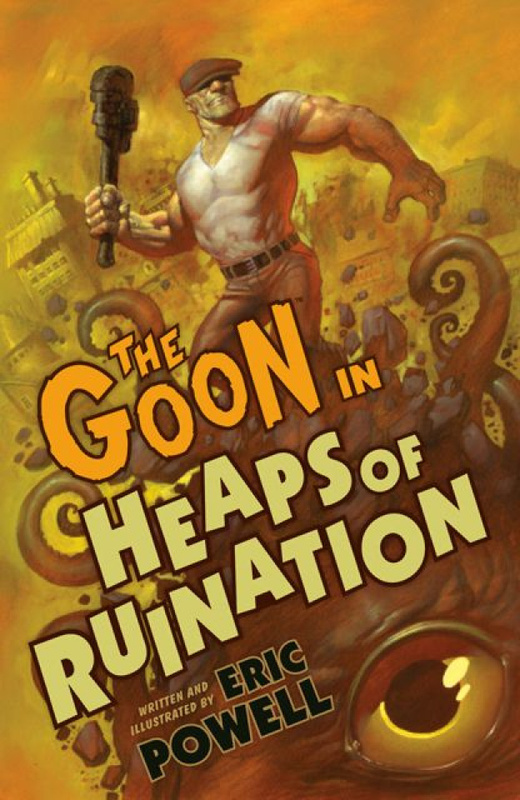 The saga of Lonely Street takes turns both tragic and hilarious, as Goon and friends are forced to confront their tragic pasts, a tentacled creature from space and its mediocre Interdimensional-to-English Dictionary menace the docks, and Goon must withstand the coming of El Hombre del Lagarto! Plus, Mike Mignola cowrites and illustrates an appearance by Hellboy, in one of the strangest crossovers of all time. For those new to The Goon, these editions are a perfect place to start!